Here are the best Father's Day gifts for your outdoorsy dad. Let’s be real. America’s greatest pastime isn’t actually baseball. It’s fishing. After all, who doesn’t remember fishing with their dad as a kid? Starting at only $119.99, STRIKER fishfinders are available in several sizes and with varying sonar options. Stack the odds in your dad’s favor while fishing with a STRIKER fishfinder with built-in GPS and a CHIRP sonar transducer. There’s so much value packed into a single unit, we recently dubbed the STRIKER 7sv the Best Fishfinder Under $500! If he is a more advanced angler and wants built-in maps, Garmin echoMAP CHIRP chartplotters are a fantastic and budget-friendly option. With crystal-clear CHIRP sonar and built-in LakeVü HD maps with over 13,000 lakes with 1-foot contours, finding where the fish are hiding will be easier than ever before. Give the gift of safety this Father’s Day. Handheld GPS units are vastly underrated tools for any pursuit into the great outdoors and there’s no better way to help keep dad from getting lost than with a handheld GPS such as the eTrex Touch 35t or Montana 680t. Do you ever feel like he loves his hunting dogs just as much as you? Dog training season is in full swing and a new e-Collar would be a perfect gift for dog dads out there. Make your dad’s training session a breeze with a Simple and Intuitive e-Collar Training solution. 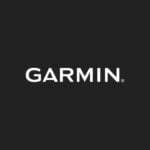 The Garmin Sport PRO is loaded with features and is extremely easy-to-use for the beginner or professional trainer. If your father wants an all-in-one solution for his hunting dogs, you can’t go wrong with the cream of the crop when it comes to e-Collars. With built-in GPS for tracking and training, the Garmin Alpha 100 can do it all! It’s 2016 and smartwatches are the must-have gadget, making the easy-to-use Garmin fēnix 3 GPS smartwatch the perfect gift this Father’s Day. It’s the perfect daily wearable for anyone from outdoorsmen to triathletes. 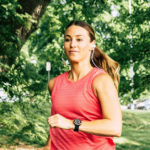 It’s an activity tracker, GPS, connects to smartphones via Bluetooth, and fully customizable with downloadable apps, widgets and watch faces in the Connect IQ Store. We all love to capture memories to relive the most memorable moments and share with our family and friends. Pick up a Garmin VIRB XE action camera for Father’s Day so he can capture the catch and the hunt. We hope we’ve helped you find the best Father’s Day gift for the outdoorsy dad in your life. In the meantime, don’t forget to follow Garmin Fish & Hunt on social media and share your fishing and hunting photos with us using #FishGarmin and #HuntGarmin for a chance to be featured on our channels!